Oil has been connected to war and violence throughout its history. In the First World War, seizure of Iraq’s oilfields was a “first class British war aim”. During the Second, the Japanese attack on the U.S. Pacific fleet in Pearl Harbor was largely an attempt to control the Pacific theater, including the oilfields of Indonesia. Oil was the reason the Nigerian military conducted “wasting operations” against the Ogoni community who opposed Shell in the 1990s. Exxon was accused of providing machinery for digging mass-graves in Indonesia’s war against secessionists in the province of Aceh (the company denies this). Oil development was at the center of Colombia’s bloody civil war. BP ignored warnings that its Baku-Tbilisi-Ceyhan oil pipeline would exacerbate conflict, passing through or near seven war zones. The pipeline became a major cause and target of Russia’s war with Georgia in 2008. Arctic nations have militarized their northern zones, with a view to securing new oil resources. By far the greatest militarization has been in the Middle East, which holds more than half of the world’s oil reserves. The U.S. military presence – at an estimated cost of over $8 trillion since 1976 – has consistently exacerbated regional tensions and instability. Furthermore, oil producers such as Saudi Arabia have been key beneficiaries of U.S. weapons sales. The U.S. government strenuously denied an oil motive for the 2003 invasion of Iraq; in reality its war plans grew out of oil supply fears. Throughout the occupation, from 2003 to 2011, privatizing the oil – against the wishes of Iraqis – was a consistent U.S. priority, and was closely tied to military operations. 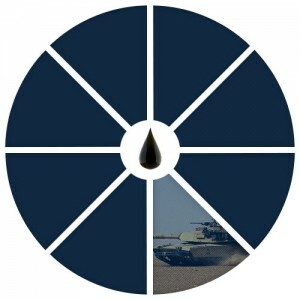 The full story is told in the book ‘Fuel on the Fire: Oil and Politics in Occupied Iraq’, by Oil Change International Senior Adviser Greg Muttitt. Oil makes the world a more dangerous place, both sparking and fueling conflicts that have cost millions of lives. It’s time to get off oil.